Your Junk Is Our Treasure! We Buy Scrap Metals for Cash! Got some scrap metals lying around? Don’t just let them collect dust and rust. Contact Cash for Cars Adelaide. We buy scrap metals for cash. Turn that junk into cash today! There are two types of scrap metals- ferrous and nonferrous, and both add up to cash. Obviously, scrap metals like the metals of scrap cars are likely to bring greater cash values. Cash 4 Cars buys Scrap Metals in Adelaide. If you have an old car sitting in your yard, we are the ones to call. We cannot wait to get our hands on the car or truck, dismantling it to recycle its metals. Our car dismantlers are experts in the business, dismantling engines to recycle all the metals in the engine parts, and dismantling cars. We love our business and do it so well that we maximise the value of wrecked, scrap, old, and damaged cars and trucks. When having scrap metals recycled, having an eco-friendly recycler is necessary. Why? Because there can be a great deal of waste involved if the recycler does not practise green standards. Consider the fluids of the car. The oil and other fluids can be recycled. Consider the engine parts. They can be recycled for their metals. The body of the car is recycled for its steel. There are many parts and components of cars that can be recycled, and what cannot need to be properly contained and disposed of safely. When green recycling is the standard for the disposal of scrap metals like a car, the smallest carbon imprint is left on the environment. At Cash for Cars Adelaide, we are green recyclers who engage in eco-friendly recycling practices. At Cash For Scrap Cars Adelaide when you have scrap metals that you are ready to have recycled, we will come to you and remove them for free. We are a scrap metals removal company that schedules quick and convenient removals. At the time of the removal of your scrap metals, we will provide any necessary paperwork to purchase the goods and our cash payment. The process is quick and convenient and can be completed within hours of you accepting our quote. When you choose us, you have a scrap metal buyer with years of experience. We keep up to date on the current rates of scrap metals, so you are guaranteed a fair price for your metals. We also have a crew that caters to the needs of our customers offering professional services like free scrap metals removals. We also provide all recycling of metals at no cost to our customers. With Cash 4 Cars of Adelaide, you have a buyer you can trust; and, one that makes selling scrap metals profitable. We provide instant cash, so if you are looking to make some quick cash, selling your scrap metals to us is the easiest way to do that. Cash 4 Cars offers quotes for ferrous and nonferrous scrap metals over the phone and online. To obtain a quote, please contact us at the number below. For an online quote, please fill out our online quote form that can be found at the top right of this page. 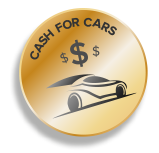 With Cash 4 Cars Adelaide, we are on our way to buy your metals for cash today. We are scrap metal buyers that you can trust to receive a top cash quote for your scrap metals.